Yamaha’s purpose-built 5.3-liter 350-horsepower V8 outboard surges to the front of the fleet when it comes to thrust and trust for moving big, offshore beasts. Now Yamaha’s new F350C model becomes the only outboard in its horsepower class to feature a five-year limited warranty because reliability and confidence are important when you’re taking control of the open water. Five-Year Limited Warranty provided by Yamaha Motor Corporation, U.S.A. on new F350C model only with production dates of March 2016 forward. Who says you have to put on the pounds to add more horses? Meet Yamaha’s Next Generation of V6 4.2L Offshore outboards, now available for both mechanical and digital controls (F250 & F225). These award winners are packed with Yamaha’s legendary reliability, which is why so many anglers won’t trust anything else a hundred miles out. FOR THOSE WHO DEMAND LEGENDARY OFFSHORE PERFORMANCE. 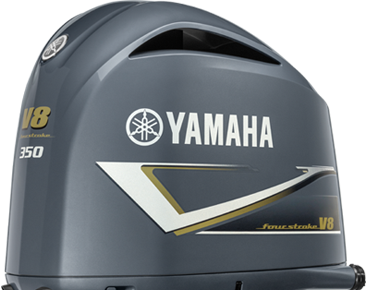 Yamaha’s legendary V6 3.3L four strokes set the course for today’s offshore power. When they first hit the water, they brought with them several innovations that radically improved low-end and midrange torque, acceleration and top-end speed. This technology was so revolutionary that it garnered not only a BoatingWeek Innovation Award, but also an Editor’s Choice Award from MotorBoating Magazine.